Hello YNABers. 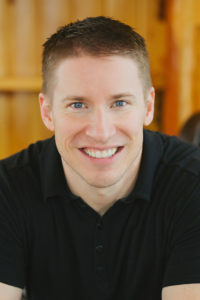 My name is Jesse Mecham and this is podcast number 96 for You Need A Budget, where we teach you four rules to help you stop living pay check to pay check, get out of debt and save more money. Click here to download the transcript in PDF format (links intact). If you prefer listening to reading, subscribe to the YNAB podcast in the iTunes store. Today I have on, for those of you that caught the earlier version of podcast last week and then we pulled it because of the audio quality, I have done another interview with Mr. Money Mustache and that is coming up very shortly with superb audio quality. You will love it. But I would encourage everyone to go over to the blog, ynab.com/blog, and catch the transcript of the first interview that we did. There’s a lot of great information there, a lot of background on Mr. Money Mustache, where he comes from, why he’s right, and why we should all listen and have our views changed a little bit – it certainly changed mine. So, this podcast is going to be pretty interesting. I want you to keep a very open mind and just kind of question every one of your assumptions. I know on our blog a while back Mark did the same exercise and he’s the better for it, as is his budget. So, question your assumptions, come into this with an open mind and I hope you enjoy it. Here is my interview with Mr Money Mustache from MrMoneyMustache.com. J: I’m here with Mr Money Mustache again for our non-transcribed, fully audible with super-clear quality audio podcasts. Welcome again. MMM: Excellent. Thank you again. J: You sound phenomenal. Better than ever. M: I think you sound even better. J: We’ll dive right in. I wanted to quickly review – just in case people were too lazy to read the transcript – just really quickly review the savings rate approach that you take with the shockingly simple math behind early retirement. And then we will dive a little bit more into a mushier topic and that will kind of talk about happiness. M: Okay. That’s great. Well, the savings rate is a good thing to review because all of the mainstream kind of wimpy financial advisor advice that’s coming out these days. Like in USA Today and Money Magazine it’s all like, “Oh, save 5% or maybe 15% of your income if you’re super-strong. Then you just work for 40 years. And everything’s great! You’ll have $12 million if the Stock Market compounds, if it just doubles every year.” And it’s a bunch of weird assumptions and it’s assuming that everybody wants to work until they’re 65, and it’s assuming that there’s a benefit of spending so much of your income – which it turns out there isn’t, and we’ll get into that later in this conversation. So what you need to know is if you’re saving 10% of your income you’re setting yourself up for a 50 year working career, which doesn’t sound very fun for me. Whereas if you slide up to 50% of your income then your working career only needs to be 17 years, so you start at 20 years old and you retire at 37. And retire doesn’t mean quit doing anything fun, it just means no more mandatory work and you can skip Mondays, or you can skip every day or do whatever you want. And if you go up to 75% savings rate – it sounds crazy as a beginner but it turns out that that’s pretty possible too for most people – then your working career is seven years. The savings rate is much more important than what people realize, and 10% is much worse than what most people realize. So that’s kind of the basis of the Mr Money Mustache blog, and I think it’s what Jesse’s trying to promote to the YNAB people as well. J: Exactly, yes. The YNABers are thinking at 15% they’re doing really well. 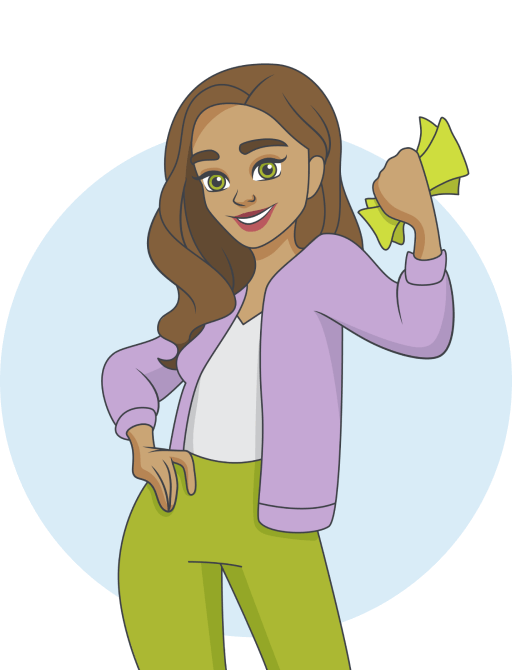 And when I started reading your blog – which is the only personal finance blog I read – I was thinking I was doing pretty well with my savings rate. I try and separate my business from my personal side, so I treat myself like an employee and make sure my behavior is in line with what I think it should be. And my savings rate was, I think, around 15%, maybe a little lower. Then I was reading your post about the much higher savings rate and it just kind of got me thinking. So I did a big analysis and kind of chewed through my budget for 2012, cut a lot, thought I was going to cut some things and then backed down, got cold feet a little bit, but I did cut a bit and I bumped my savings right up to about 32%. M: Yes, that’s pretty good. I think you’ve got some pretty good instincts too, because from personally knowing you I know that even though you’re President of a company, you have a 12 year old Honda Civic as one of your cars. J: That’s true. I think it’s built in so I didn’t have to work very hard to not want a fancy car, which was nice. The Honda Odyssey though, I mean, let’s be clear – that thing is a luxurious vehicle. I prefer driving that over my Civic if I’m allowed to, but it’s kind of my wife’s car. M: As soon as you acknowledge pretty much everything that we have in this whole country is luxury, then you’re in a stronger position to choose among all the luxuries of the modern life. J: And I guess having that view where from the default you say, “My life is luxurious,” like just kind of examine every part of it – that you aren’t cold in the winter, you aren’t sweaty in the summer. M: Yes. Do you have access to a faucet? If you have that, it’s pretty sweet. J: And if you go out camping for four days and you come back home…or maybe a little longer than four days, but we’ve all done these high adventure trips for a week with Scouts or whatever. We come back and all of a sudden my bed is super-comfortable and the shower is just unbelievable. My shower is tiled and there’s warm water flowing pretty much as much as I want it. And when you take that view where you’ve kind of taken away a lot of the luxuries and then you go back to them, yes, it’s different lands. And that’s the kind of thing that I guess you want to make more permanent in your view. M: Yes. And even the fact that camping can be fun, and you can be happy while you’re camping, is pretty revealing. So that’s why I think people who never try camping are missing out on this pretty powerful experience. Because we’re thinking, “Hey man, I had a fun time there even though I had to filter my water from the river.” So maybe the ultimate luxury isn’t the source of happiness. J: There’s one thing that I’ve been wanting to look at for a while. We talked about this a little bit in the prior interview, but I wanted to maybe dig in deeper and go in along the happiness angle. I’ve always told people, “Budget based on your values,” and then in the prior interview you’d said, “Well, one way that you can kind of reframe savings, instead of talking about deprivation, is saying that it’s purchasing your freedom.” And so you have this alternative. “Well, I can buy this thing that I value or spend this money here on whatever I value, or I can purchase my freedom that I value.” And then you’re attaching the appropriate weight to that savings goal in light of that decision because you’re giving it the importance it deserves. M: Yes, that is true. Freedom is quite a fancy luxury to have. I’ve had that freedom for about eight years now and it still has not worn off to the slightest degree. I mean, when I bike to school with my son and drop him off and then I see everybody running off in their business clothes and getting into their cars and driving off to work, and I think, “Oh well. I haven’t even decided what I’m going to do today, but it will probably be something pretty fun.” And that’s a very seriously luxurious purchase that I made. So it’s not something that just…it’s not like an old cell phone where you get bored and you put your freedom in the drawer and then it’s obsolete. Freedom is just fresh every day. J: Yes. I mean, it pays the ultimate dividend, I guess. That’s interesting, because when you think about people that work really hard – you know, they work long hours and they maybe make a lot of money, much more money than you or I make – but they don’t have freedom. And so they race to work and they get there and put in 12 hours and then they come home, and maybe they get to eat a home-cooked meal – probably not – and then they repeat again and again. And that person is bringing in all of these resources yet lacks that one resource that would be life-changing. J: So on this savings rate, you have people in your forums that are quite lively and they’re a goldmine of information on their own. But people in the forums that have savings rates that are quite high up there, in the 50+% of their take-home pay, what are some things that a person could do, just kind of average situation? You know, they may be making $70,000 and they’re thinking, “Well, we’re getting by.” I had one lady I was interviewing one time caught on a [?? 0:10:48] wage when she got her W2 and saw how much money she was making. But how would that person go about assessing their budget and being able to say, “Okay, I’m going to cut back”? Because to cut back 50% sounds impossible from the outside. M: Yes. Well, I would say the first step is you have to know where your money is going. So you can’t just think, “Oh yes, I’m living a life and everything seems to be pretty tight, so I guess I don’t have a surplus.” That’s kind of a meaningless statement unless you have a chart in front of you that says, “This much went to my housing, I spent this much in interest on loans and this much went to my car, gas and all this other stuff.” So, that would be the first thing, and that’s kind of what I think that You Need A Budget also helps people with. Step one: know where it’s going. And then step two is you attack the biggest categories without any preconceived stuff. For example, a lot of people, the average family in this country spends, I think, $12,000 on car transportation per year and they think, “Yes, well, that’s normal,” because, you know, gas is $3-something a gallon and the car is at $25,000 and you’ve got to drive to work because it’s too expensive near work. So you reverse all that and you think, “Okay, so how could this be zero? Could it be zero?” And of course, the answer in most cases is yes. I could easily live with zero car transportation, and people, in every city there’s some people who are smart, wealthy people who manage to live without cars. So the question is how can I do that? And do I want to do that, or do I want to take an intermediate approach and get most of the benefits of car transportation but not spend $12,000 a year on it? And then you go down your categories and figure out the same thing for all the other ones, like food. A lot of people spend $1,000 a month for a small family or more for a bigger one, but then if you look at what experts are doing, frugality experts, it will be a lot less. It would be more like $100 per person per month – it turns out it’s possible that you can eat really, really well on the kind of budget. So, study what they’re doing – how do they eat, what do they buy – and then that’s another giant chunk of your savings happens, that you’ve knocked something down by 75%. J: And I guess attacking those one by one. I like the idea of going in at zero, so you have to assume, you have to kind of say, “Okay, I’m not spending anything on food,” for instance, and say, “Okay, what do I add back?” Instead of saying, “What am I cutting?” you’re saying, “What am I getting?” Same with the transportation idea. M: Look to the experts. You know, is it possible to live with free food? Well, it is if, for example, you live with friends or family – that’s a bit of cheating, right? So what if you made friends with somebody, a rich person, you’re like Magnum PI living in a rich guy’s house and there’s just food in the kitchen and you’re offering services to the person – taking care of their estate or maintaining their grounds or whatever. So there is a way to get everything for free. You don’t have to do that, but just be inspired by the possibility and then find your own niche somewhere in between free and ultra-consumer. J: And I do like that sometimes I’ll kind of adopt an extreme mentality for a while, just to have my needle moved in that direction, recognizing that it’s not a maintainable extreme for me but it does change my view. Right now my wife and I are doing this challenge where we’re not eating any grain or sugar as part of our gym, and we both kind of hate it – like I do miss really good bread, my wife makes really good bread and I miss that, and I miss the occasional treat and we’re going cold turkey – but what it has done is kind of moved my needle in a way where I think, “Well, I probably won’t go back and eat as much sugar or bread as I was before,” it will be somewhere less, which is a good thing. M: Yes. And then you notice when you do those things. So, you know, I’ve always been a fairly low restaurant eater, left over from the days when I had to be – you know, when I was going through school, paying for my own education, there’s no room in that kind of budget for a $30 night out getting food. So now when I do that and I spend even more than $30 I think, “Wow! Look at me! I can spend $60 on dinner and it’s so amazing and fancy, and I can even afford it.” So it’s always a bit of a surprise when I do that. I haven’t gotten used to it, and that makes it so it’s not a habit. I appreciate it but it doesn’t add up to a lot – it’s only a few hundred dollars a year that goes towards nights out like that. J: Yes, for most people, that would be a monthly deal – a few hundred bucks a month is pretty standard. I want to give some people an idea. On the transportation itself, my family is not optimized for low transportation yet. We’re working on it, but we have our kids going to a school that’s not close – it’s five miles away – and we drive. And I was doing the math for the van – which gets pretty good gas mileage for a large vehicle – and I told Julie, I said, “You know what? I figured out how many trips to and from that school, car pooling where we can, but we’re still spending $100 a month just on gas – not wear and tear on the van, just on gas – to get to and from the school. So $1,200 a year – when you’re talking about a family making $60,000 or $70,000 or whatever, $1,200 a year is not inconsequential. And that’s just because we’ve chosen to have them in a school that’s further away than the one closer. M: Yes. Well, also, let’s quickly… just because math is important, especially when you’re talking about incomes. Incomes under $100,000, then the details start to matter. So when you’re calculating your driving costs, you don’t think about gas. You can think about four times the gas cost is about right for the cost of driving, and it’s more the bigger and newer your car is, of course. So your van is up there near the highest cost of gas car driving because it’s new. If you pretend gas is $12-$15 a gallon, that’s about how much it really costs to drive, by the time you include the depreciation of the thing and all the parts that get worn out and you have to replace them, and stuff like that. J: So we’re talking $500 a month. J: What’s interesting with just analyzing my one habit, I think this is kind of a bad habit and something that we should look at hard. There’s a couple of things I could do to hack that $6,000 down. Let’s say that I was just dead set on having my kids go to that school. At the moment we’re not debating it, but I’m always kind of debating most things. But let’s just say that that one is, “We have to go there.” So, school change isn’t an option. We could move closer – there are definitely homes in between my home and the school. M: Yes. Moving is a great thing because a lot of people discount that. They’re like, “Well, Mr Money Mustache, I can’t drive to work. I live 20 miles from work.” Is that the only house in your entire city? That’s a pretty neat city you live in. Moving is easy. M: Change it for something else? M: That’s a pretty cool idea. I mean, it’s not really a long-term money saver because you’d have to bike every day for it to start adding up. But on the other hand, it has other benefits in that it’s going to make everybody tougher, it’s going to get a nice perspective into the kids on effort and hardship, and those have benefits in other areas of your life. So yes, it’s always nice to throw a challenge into something, even if you’re not optimizing that actual drive away. J: That would give them the ability to tell their kids when they’re older that they biked to school and it was really hard, and they remembered that their dad forced them to and it built character. The idea of happiness in hard things is one that you’re kind of riffing on at the moment, and one that you talked about in Ecuador. So that is maybe a good segue, because you’re saying the money savings may be a nice benefit but the bigger benefit could be that you’re tougher, stronger, the kids are in better condition, they see more of the world because they’re out and involved in it, biking through it. Tell me about how you do that in your life as far as taking the ease away and having more happiness. M: Okay. It is a pretty powerful thing for both your happiness and your money-saving ability is to just shut down your natural assumption that convenience and comfort are good things to seek out. And in fact, they’re usually things that you want to have in moderation. They’re kind of like sugar – it’s just like getting birthday cake and stuff. So, for example, just before this interview I biked with my son to school, and we’ve got a bit of a weird storm in Colorado today so it was only about 35 degrees and it was a bit rainy. And so we just put on our warm clothes and we biked to school. And my son didn’t complain because he’s never driven to school. We only live a mile from the place, or a little bit under a mile, so in our family that’s not a car compatible distance. M: And he loved it. You know, we were talking about how tough we’re getting and we were enjoying the cold air on our face, and that keeps us free to go outside when it really does get cold outside, and when we come home we appreciate it so much more. So it’s like throwing a little bit of camping into everyday life. And after that I went out to the grocery store, which is several miles away, and I pulled a bike trailer and I stocked it up with a bunch of good food, and I got some beer and wine because we had some guests coming in for the weekend. And you know, even though I have cars in my driveway and they’re warm and luxurious, I deliberately put this bike errand into my cold weather day because that kind of hardship actually makes it happier. And it’s not just me – I’m not just a crazy person. This is really a basic human trait, is that putting some effort into things and making it more difficult gives you a more satisfying life. And you know, it saved me a few dollars on my driving to the grocery store, but that didn’t enter into my mind at all. What it really is is that I want to be stronger and I want to put some effort into today. And if you apply that to everything – you know, “Should I buy this riding lawnmower or should I keep using my plug-in, electric cord mower from 1985?” You do all that stuff and you appreciate it more. So it’s really a win-win if you just question every little bit of comfort and take it in moderation. J: And taking convenience in moderation is something that I think is so counter to what we’re programmed… and maybe even as humans, at our basest level, we’re programmed to do. We’re programmed to conserve energy and seek out high calorie items and basically do everything we can to survive. But survival for us now is not a question, so we have to kind of counteract that. And I think the marketers know that we naturally lean toward convenience. I’ve been wrestling with my data plan for my cell phone and I’ve removed some convenience from my life – not having data available at every portion of my day – and lo and behold, it hasn’t really changed my life at all. It certainly hasn’t made it more negative. It’s made it more positive because I’m a little more in the moment with things. And on top of that I’m saving $100 a month and that really is… that was real cash going out the door every month, just because I chose to say, “Well, I don’t need that convenience of the data all the time.” So, questioning that a lot I think would be a good way for people to attack those line items in their budget and get that savings rate up a lot. M: Yes. And isn’t it great that this isn’t even a new idea? If you think about the old expression, “If it doesn’t kill you it makes you stronger,” that’s not brand new from 2013. That’s I don’t even know how many centuries ago. Because people were so wise they figured it out long before we were born – we just have to listen to what people already knew long ago. J: And if you’re swimming, if you’re in kind of the mainstream and you’re walking along with all of the other sheep, then you maybe want to look around and question a few assumptions. M: Just look at the results. If you want to, if you’re going to decide to copy somebody, then start by looking at the results of their life. So if you look at a person… If you want to be successful then see what the successful people are doing. So all of the consumers around you, chances are they’re pretty unsuccessful from a monetary perspective. Most people have a zero or very small net worth and they’re doomed to have to work until they’re 65, and they worry, stay up late worrying about debt every night. So just, if you want a life like them, then copy what they do. But if you want a different kind of life, then copy people who have a lot of savings and, you know, a very peaceful, happy life. J: Yes, absolutely. Examine those results. I loved your post on debt where you kind of got… Oh man, it was hilarious. And you may have written it a long time ago – I don’t know what the timing on it was – but I think you said something like being in debt is like having… something with a beehive, it might have been on fire. I can’t remember. M: Yes, there’s a bunch of stuff that being in debt is like. You know, because it’s an emergency, so sometimes it’s like being surrounded by a swarm of killer bees all covering every square inch of your body. Or alternatively, you could think of it as being in a cauldron full of boiling lava and poisonous snakes. M: A bunch of different analogies that you could compare it to. I’d like to talk about a few of the budget line items specifically and have people… I don’t know, if I could just wrap it up with one takeaway, I think it might be going back to the beginning where you were just saying start at zero with your budget and then add things back. And really question every assumption that you have and see if we don’t end up with a savings rate that’s not the weak 15% but something more formidable like 35% or 40%. M: Yes, at least. I’d say that’s a little bit weak, but I guess you’ve got to start somewhere. J: You do. You do have to start somewhere. And if people looked at it over a long term, like over the next year. You know, moving might take someone a while – it could take you a couple of months, maybe even longer if you’re trying to look for the right deal or whatever. Or adjusting your transportation situation – that could take you a little bit of time. But I think if people are looking at it and hacking away at it, I think over time their habits can change and then, like you said, they’ll maybe be doing harder things – maybe they’re buying a house that they have to fix up and put a little sweat equity into – but in the end they’re a better person for it. They’re stronger for it, tougher. And they appreciate the luxuries they do have once they’ve gone through that process. M: It’s true. And once you start it, it’s kind of a runaway good situation because I find people’s savings rates tend to go up over time once they adopt this mentality. So they get more and more into things, more and more happy at the same time, but also they’re like, “Oh, I can’t believe the me of last year. Now I do this stuff differently and I’m able to save so much more. And it’s freed up mental energy where I actually earn more too.” So yes, it’s a great… you’re really just starting a good way of living your life and it’s going to keep going for the rest of your life. J: Awesome. Well, thanks, Mr Money Mustache, for coming on again – with a very high audio quality this time, so this one’s out there. The transcript from our first one that we pulled because the audio was bad, the transcript is available. You can read everything that Mr Money Mustache has written, which is a lot at this point – you’ve been at it for two years. 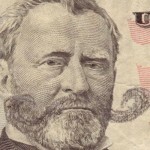 So, MrMoneyMustache.com. And once you’ve exhausted that, I’ve had some fun poking in the forums and seeing some pretty lively discussions there. One of my favorite threads I saw was someone said, “Hey, what things can you buy once and then you have it for life?” And so that was kind of interesting. They were talking about cast iron skillets and just tough, well-made stuff, which was interesting to me. Anyway, lots of fun stuff on the forums too once you’ve exhausted everything that’s written on the blog. But you’ll be inspired, so I challenge everyone to question every assumption and start attacking your debt like it’s an emergency – because it is. And then get that savings rate up and, yes, don’t resign yourself to working for 40 years. Any last words?